Forever Decorating! : Oh so French End Tables! Do you love the French Look as much as I do? 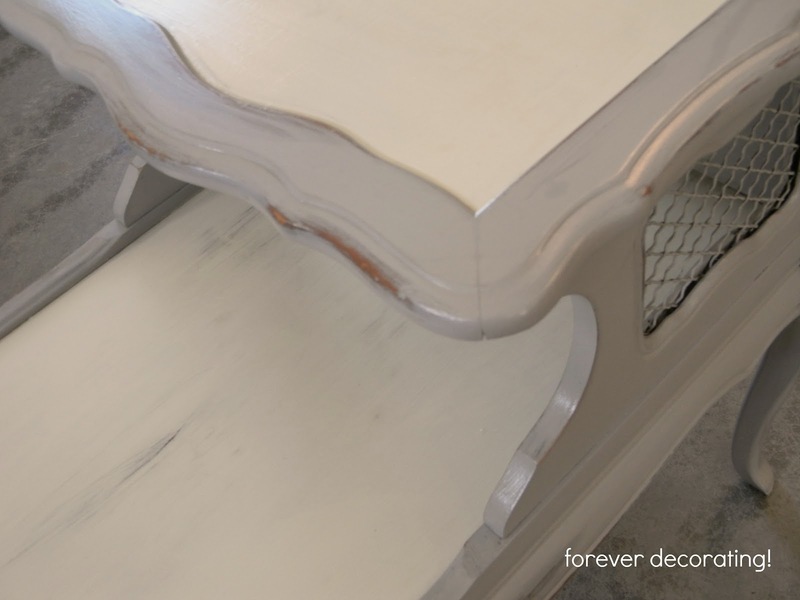 Do you also love the look of a finished piece after it was painted and loved with Chalk Paint? I picked these two tables up at a garage sale because they just spoke to me. They said, "Take me home and show me how to look lovely in French Frocks!" I listened and I heard. 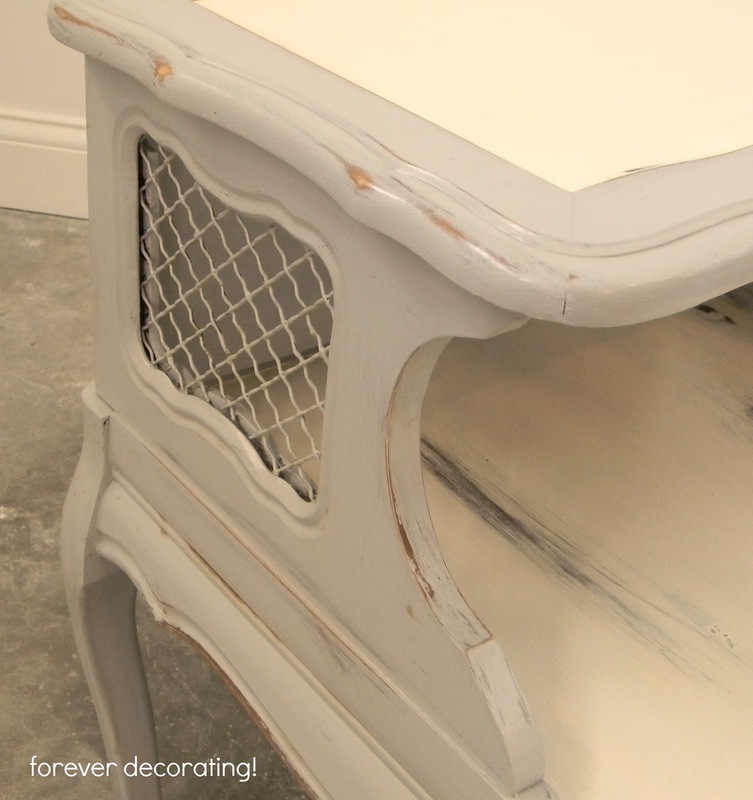 So out came the Annie Sloan Old White and Paris Gray Chalk Paint. Don't you just love their French connection? They are already at my booth and ready for someone to love them in their home. NOTE: These sold within the first week in my booth...good, but they sure didn't last long. Thanks, at $5 each table, I think I didn't go wrong. They surly turned out beautiful to grace someones home. Love the new look of these tables! No wonder they sold so fast, great job!! They look so pretty and updated! Love the delicate colors you chose! These are just beautiful, Terry--I like the white contrasting so nicely with the grey--they're very pretty. Very clever painting idea--I like it a lot! These turned out great! 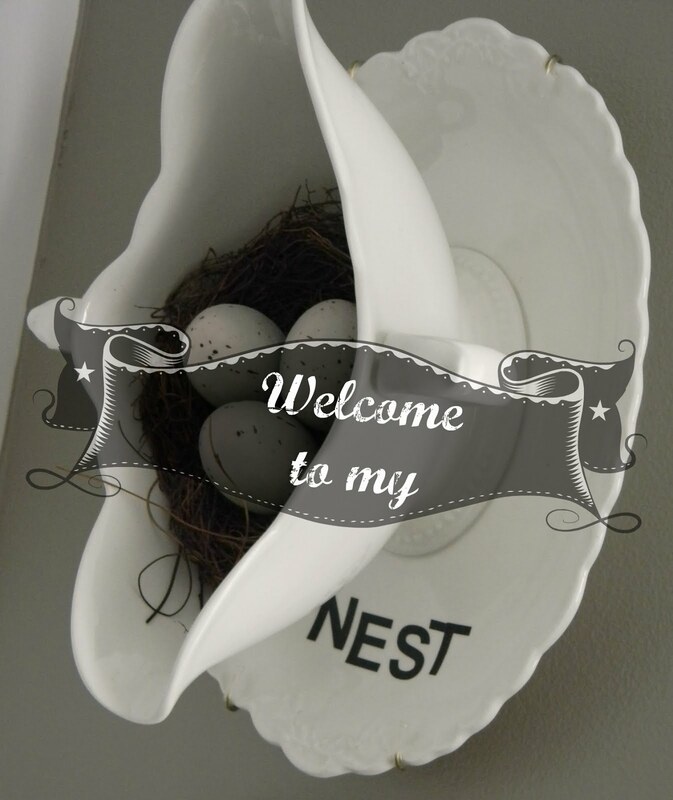 I am your newest "linky" follower! These are just gorgeous - absolutely love them! Gorgeous, just love them and they were meant to be grey/white and vintagy! So love them, they should fly outside your booth! Did you get a new header, is so it's very nice! So glad you shared your creative inspiration with Sunday’s Best – your creativity helped make the party a success! Beautiful, Terry! I love the Paris Grey and Old White combo on these tables. Actually, I love the Old White combined with any of the colors ~ it just looks so great and enhances the other color. those are just gorgeous! so very french with the colors you chose, too! This is one pair of classy French Femmes! I hope the new owner knows how lucky they are! Love your choice of colors! Terry, Great transformation on the tables. They are beautiful and I can see why they sold quickly. Thanks for linking to the Open House party. Terry, they are lovely! You did a fantastic job on them! I'm visiting from Kathleens' Faded Charm. 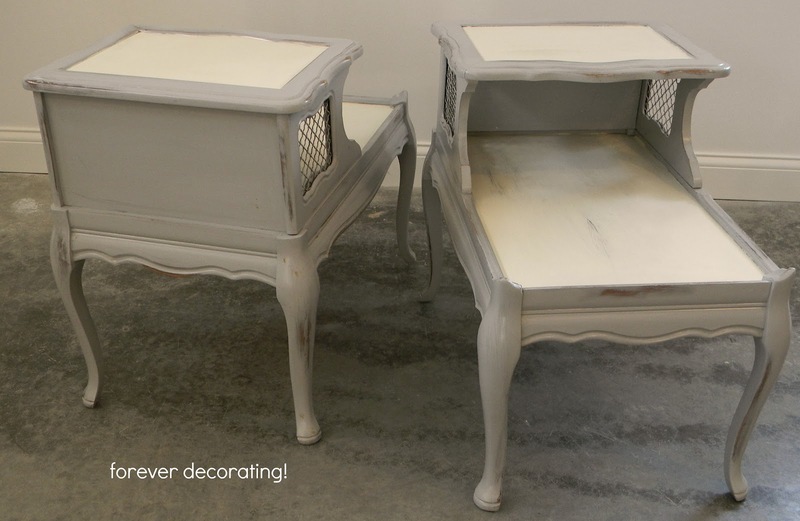 Your end tables look stunning in their french frocks. 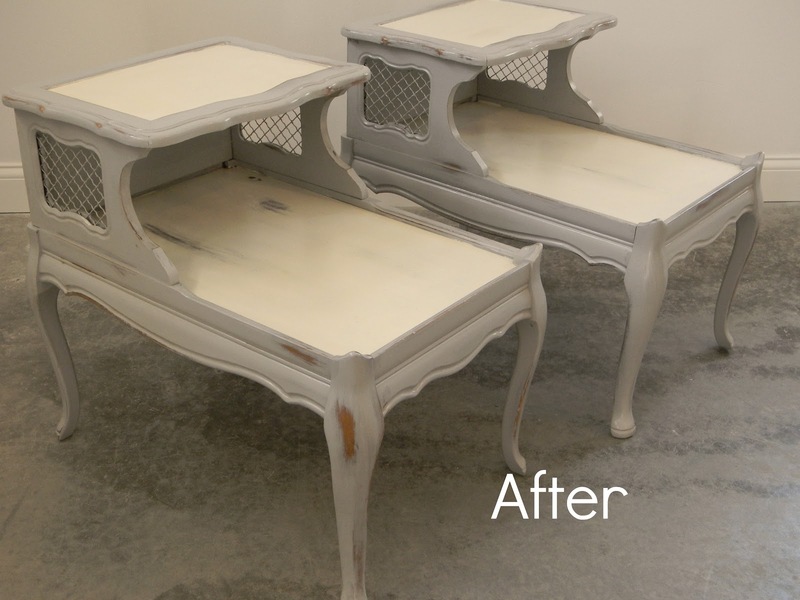 you did an amazing job and i just love the Old White and Paris Gray color combination. No surprise that they sold so quickly ! Oh, they are beautiful! Love the details and the color combination! 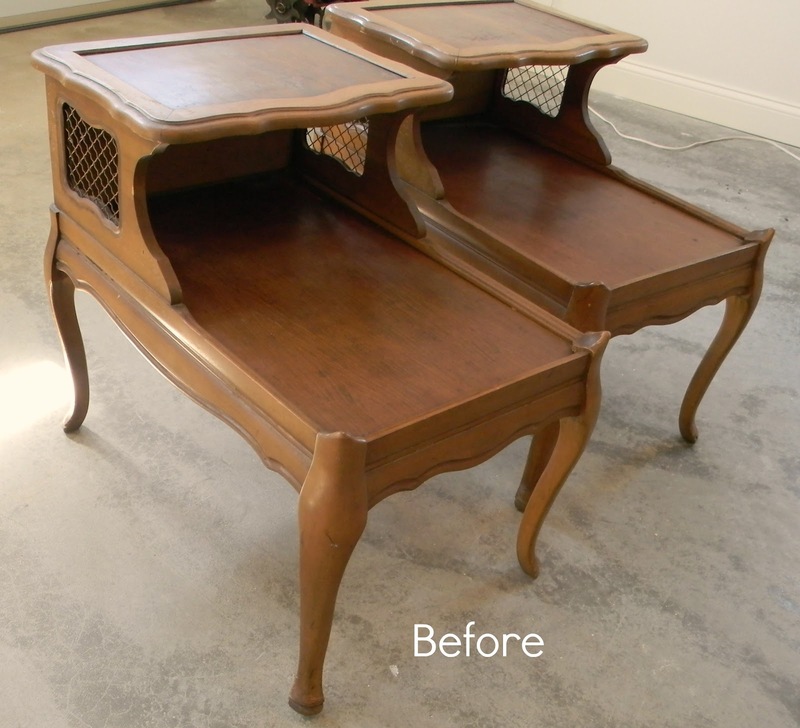 I inherited from a dear aunt nearly identical tables, along with the matching coffee table and couch! I'd wondered what they'd look like painted! Lovely! Thanks for the idea!